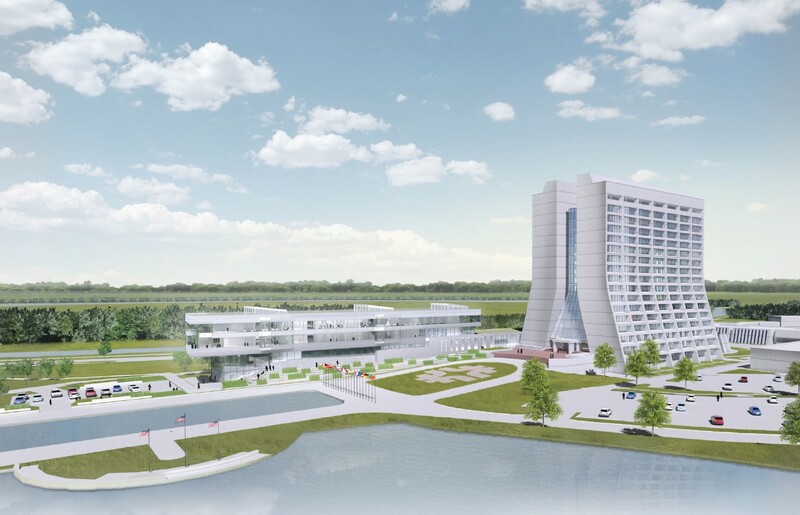 Plans to build a focal point for Fermilab engineering called the Integrated Engineering Research Center, at the Department of Energy’s Fermi National Accelerator Laboratory have been evolving for the past six years. This spring the project received the remainder of Congressional funding for design and initial construction funding. 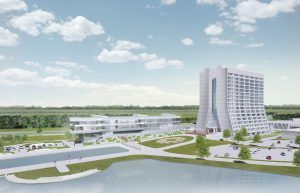 Fermilab subcontracted with an architectural firm at the beginning of July to begin transforming the building from a concept into a final design. The new center, which many hope will be a beacon to attract some of the world’s best and brightest engineers, will be a major addition to the Fermilab site and will expand the complex of buildings surrounding Wilson Hall — a 16-story high-rise and Fermilab’s main office building that was built nearly five decades ago. To begin the architectural design process, the project team has been communicating with engineers and scientists who will be setting up shop in the new building to determine what sort of space and facilities they will need. The goal is to design the building with an eye on adaptability. Rather than creating many custom spaces, the team is developing five or six different types of spaces that will support a variety of scientific requirements. Once space types are established, the designers and architects will turn their attention to fitting these spaces together and creating the shape and look of the building. A main requirement of the design of IERC is to respect and honor the heritage and vision of Wilson Hall and the Fermilab campus. The new building will be located to the northeast of Wilson Hall and will connect to Wilson Hall to allow for fluid collaboration. A new parking lot will accommodate existing and future parking requirements. Construction is set to start next summer and will likely be completed by the end of 2021. A detailed schedule will be established once the project receives the final go-ahead by the Department of Energy next year. The center will host existing and international teams of engineers, technicians, and scientists who will further develop Fermilab’s neutrino program and support Fermilab’s upgrade projects for the Large Hadron Collider at CERN. It will also provide better research and collaborative spaces for research initiatives such as liquid-argon engineering, the design of electronics and ASIC development, and quantum science programs. After celebrating 50 years of science and discovery last year, the Fermilab and broader particle physics communities are ready to tackle another half-century of innovation.